The BMW 5 Series invoice price and the true dealer cost are not the same. Note: The BMW 5 Series pricing report below does not include rebates or incentives. View BMW Rebates and Incentives. The all-new 2019 BMW 5 Series is here to please with some great new features combined with the expected luxury that BMW always brings. This mid-sized luxury sedan comes with an ultra-quiet interior and standard automatic braking so you can feel safe and comfortable in your new ride. The 2019 BMW 5 Series comes along with some new standard features that you'll absolutely love. Starting with the exterior, the 5 Series comes with mandatory standard automatic emergency braking technology that will ensure your car stops on a dime when avoidable accidents occur. You'll also see lane-departure alerts and blind spot monitoring come standard with all 5 Series models. To help you maneuver even better, you'll see rear and front parking sensors as a standard as well. Enjoy standard forward collision warning, rear cross-traffic alert, and pedestrian detection. Moving to the interior, you can enjoy the standard Apply CarPlay that comes integrated with this series and a general 12-month free subscription. You can opt for the onboard Wi-Fi hotspot, wireless smartphone charging pad, power-operated trunk lid, passive entry, and digital gauge display. The 2019 BMW 5 Series comes in seven available models. These include the 530i sedan, 540i sedan, 530i xDrive sedan, 540i xDrive sedan, 530e xDrive iPerformance, 530e iPerformance, and the M550i xDrive sedan. There are three main trims that can be selected for any of the 2019 5 Series models. These include the Sport, Luxury, and M Sport trims. The Sport trim is road ready with a sleek sporty design that showcases black high-gloss design elements on its bumper. When it comes to the Luxury trim, it screams first class. This trim sports a high-gloss chrome from the tailpipe to the grill. You'll see bumper inserts and alloy wheels that make this look modern. Lastly, we have the M Sport trim option. This is designed for those who are interested solely in performance. You'll get LED fog lights, precision aerodynamics, and the famous shadowline exterior trim that is only found on the BMW. The 2019 BMW 5 Series is available in five tiers so you can have a car designed to fit your lifestyle and tastes. These five tiers include the simplicity tier, convenience tier, premium tier, executive tier, and driving assistance plus package. The simplicity tier is your first level 2019 BMW 5 Series package. It has standard features that include Park Distance Control, Rearview Camera, Adaptive LED Headlights, Active Blind Spot Detection, and BMW Navigation. 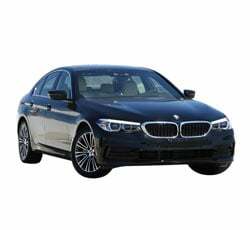 This package is available for all models except for the M550i. The convenience tier is the next package on the ladder that is available in all models but the M550i. This sports a power tailgate, SiriusXM satellite radio, heated front seats, and passive entry. The premium tier is available in all seven 2019 BMW 5 Series models. This has advanced technology including gesture control, Active Park Distance Control, Head-Up Display, Parking Assistant Plus, and a 3D surround view. The executive tier can be purchased for any 2019 BMW 5 Series model. This brings you some top-level features including soft-close automatic doors, rear side window shades, power rear sunshade, and a dynamic digital instrument cluster. The last package that can be purchased for the 2019 BMW 5 Series is the driving assistance plus package. This package is centered around making your driving experience easier than ever before. You'll get active cruise control, traffic jam assistance, and active lane keeping assistance with this lovely package. This is available for all seven models. When you get behind the wheel of BMW's 2019 5 Series you'll find a lavished interior with integrated advanced technology. The cabin is the epitome of luxury with spacious room for both rows of adult seating. You'll enjoy the great ergonomics of the car with a sleek dashboard display. Hitting the road can bring a whole new level of wow from your 2019 5 Series. Expect to enjoy effortless driving with the sharp responses of steering, throttle, and the transmission. The safety you get with these models is unbelievable. You'll never feel as safe in another vehicle again. Depending on the model 5 Series that you're considering, you can expect different levels of horsepower. The 530i sedan and 530i xDrive sedan have a two-liter twinpower turbo incline four-cylinder engine that produces 248 horsepower. You'll receive 27 combined city highway mpg. The city mpg is 24 and the highway mpg is 34. The 530e iPerformance and 530e xDrive iPerformance sport the same engine and horsepower with an integrated electric motor. You can expect between 67 and 72 combined city highway mpg when using electric and gas. With only premium gas usage, you can expect between 28 and 29 combined city highway mpg. The city mpg is 24 and its highway mpg is 34. The 540i sedan and 540i xDrive sedan have a three-liter twinpower turbo incline six-cylinder engine which produces 335 horsepower. Expect to see a combined city highway mpg at 24, which sits right at the top of its class. More specifically, you can expect 21 city mpg and 30 highway mpg. The M550i xDrive sedan has a 4.4-liter M performance twinpower turbo V-8 engine that spits out 456 horsepower. This powerful vehicle will provide you with a combined city highway mpg of 21. Its city mpg is 18 and its highway mpg is 25. 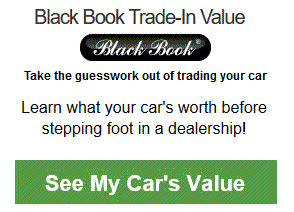 Example: Base BMW 5 Series invoice price + the dealer Invoice price of options + destination - Holdback = Total Dealer Cost. Note: All BMW 5 Series MSRP, invoice and dealer cost dollar figures above are approximate amounts. Prices are subject to change without notice.